If you allow ActiveX controls, the Music Player will be displayed here. 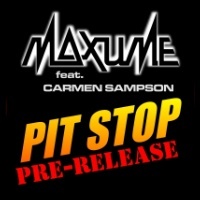 With the release of the Maxi-Single to my new track, called Pit Stop, planned for the end of July 2010, I couldn't help but give people a glimpse of what's coming. The track is a 130BPM Power Pop/Dance Track with a Jumpstyle rhythm. It is performed by myself and it features the vocal talents of Carmen Sampson. Listen to it on the above player or go to my SoundClick Page from which you can buy it for half the normal price ($0.50 each) but only untill the full release takes place. For the longest time, PayPal did not support South Africa for merchant accounts. For this reason I have been unable to sell my music on SoundClick. ...Untill now, that is: Last week it was announced that PayPal now supports sales from South Africa via FNB accounts. 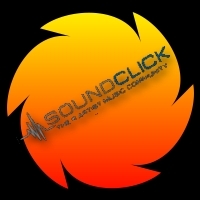 From today, you'll be able to buy most of my music from my page on SoundClick. That's right. I've just uploaded the first MP3 single in the FREE MUSIC section of Maxume on Facebook. 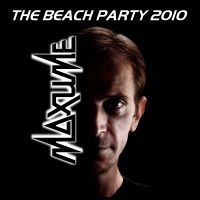 This first single is called The Beach Party 2010 (Trance Mix) and is a revamped version of a track I composed in 2000. It's an uplifting dance track with a tempo of 140BPM and has a mixing point in the front and the back for DJing purposes. All MP3s in this section will be 100% free to fans of my page. (Check the page for copyright notices.) I plan to upload a new track every month & each newly added track will replace the one before it. So don't wait to download as you might just miss out. Go to my Facebook page NOW! All music I produced since December 2008, is now live on the net and can be purchased from a large number of vendors. These Vendors include: iTunes, Amazon, Napster, Rhapsody, Lala and several others. The following music is currently available: Like Gold (The Sound of Summer), Belly Dancer (Maxi-single including a full and edited version of 4 different mixes) & Seven Months of Summer. Check out the quick links on the right-hand side of my page to go to any of these online stores now. Thank You for Visiting my site. Please check back regularly or join me on Facebook for updates.